Once again we revisit the Six Nations and again it involves the French and the English. England captain Chris Robshaw queries Nigel Owens about a French player who was lying around the base of a previous ruck, to which Nigel tells him there was nothing wrong with the play. Robshaw regretfully saying “He was…” to which Owens sarcastically replies “Uhh… Christopher”. “Sorry sir”, replies Christopher. Classic. It’s a Heineken Cup knockout match between Munster and Toulouse at Thomond Park, where the scrums were a mess. 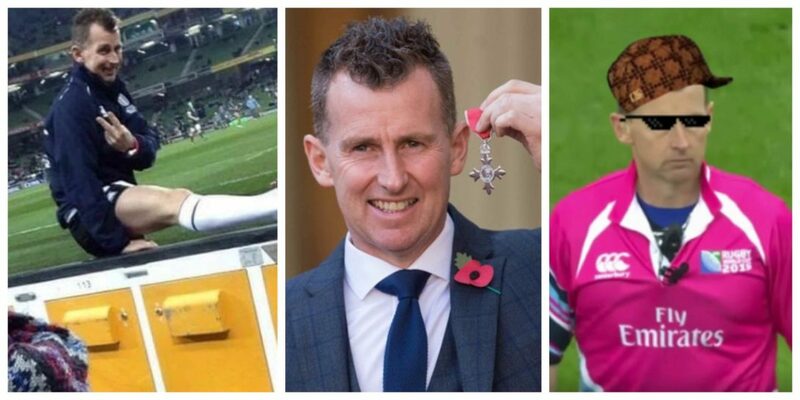 Nigel Owens eventually gets fed up and calls the two front rows over. He questions the six of them by asking “You don’t like to scrummage? Well if you don’t, you’re in the wrong position”. The commentators loved it, pointing out that “Someone should make a Nigel Owens quote book”.